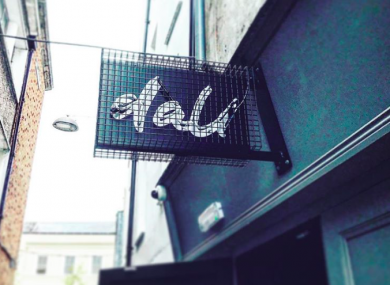 LAST MAY, HOPE Alo and Stephen O’Byrne lifted up the shutters on the venue formerly known as The Pav and officially launched Dali, a nightclub situated on Carey’s Lane in Cork City. It marked a new chapter for the venue, which started out as a cinema many moons ago. It was later transformed into The Pavilion, a beloved bar and nightclub, which closed suddenly in June 2014. It reopened for business shortly afterwards before eventually being put up for sale in 2017. Around the same time, Alo and O’Byrne were busy putting on gigs in whatever space they could get their mitts on in Cork. Disenchanted with the nightclub scene in Cork, they wanted to reinvigorate the city’s nightlife and offer an alternative to run-of-the-mill nightclubs. The response was overwhelmingly positive and they soon realised they had something special on their hands. With venues around Cork dropping like flies, they decided there was room for a specialist nightclub and music venue. After ‘living on beans and toast for a year’, they managed to set up a permanent space in a warehouse in the Marina. They stayed there for seven months until the opportunity to arose to take over the upstairs of the venue formerly known as The Pav. Alo explains that the building had been purchased by Dave Dwyer, the owner of Ramen. Dwyer was familiar with Alo and O’Byrne’s exploits, and was a fan of what they were doing. “He had loads of other offers for things that were similar to things that were already being done, but he put all his faith in us to do something different,” recalls Alo. “When the rumors starting going around that we were doing it, people were like, ‘That is so right,’” says O’Byrne of the move into The Pav. Since setting up shop in Carey’s Lane, Alo and O’Byrne have strived to transform Dali into Cork’s leading nightclub, installing the country’s largest Void Acoustics system and hanging an enormous disco ball. They now bill themselves as “Cork’s only club dedicated to real underground, electronic and alternative music,” hosting regular club nights as well as acts from both home and abroad. When it comes to booking, Alo says they just want to bring “anything that’s alternative to Cork City”. While dance and techno might be their primary focus, they have also welcomed alternative music acts like Katie Kim and O Emperor, such is their eagerness to provide a platform for interesting music. It has been a steep learning curve for Alo and O’Byrne. They had to learn everything from scratch – even pouring a pint. However, they had the “passion and drive” as well as the connections to make it work and they’re happy with how things have ended up. So far, Dali has been embraced with open arms by music fans around Cork. It’s just a space for music lovers who had nowhere to go in the city. Email “'Every weekend we have a brilliant buzz': How Dali rose from the ashes of the legendary Pav”. Feedback on “'Every weekend we have a brilliant buzz': How Dali rose from the ashes of the legendary Pav”.